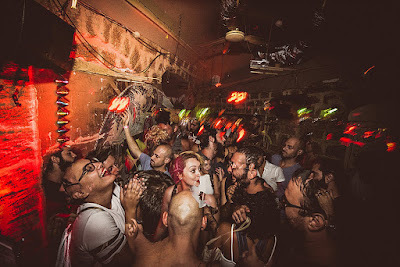 Green Olive Tours Blog • Palestine • Israel: Your guide to the top 5 mixed parties in Israel and Palestine! Your guide to the top 5 mixed parties in Israel and Palestine! What a tragedy! After nearly a decade of service to those who believe in peaceful acceptance of the other, Anna Loulou management recently announced they will be forced to close due to issues around noise and crowd management. The boisterous groups who drink and smoke outside most nights of the week were great for building atmosphere but apparently not so popular with the increasingly gentrified neighbours! Owned by a diverse group of partners in old Jaffa, what Anna Loulou lacks in size it makes up for in energy. They celebrate a wide variety of musical styles and host great regular nights like Arabs Do It Better, All That Jazz and Latina Palestina. They have always explicitly tried to appeal to a crowd of mixed ethnicity, religion and sexual orientation, though the ever-larger groups of kids on Birthright trips are a far cry from the underground early days. They reject terms like coexistence and instead focus on diversity of experience. You have just 3 weeks left to experience this place in its original home but rumour has it they will be reopening again soon in a new venue. Keep your eyes on this blog as we will be happy to do some late-night research on your behalf whenever the new venue opens! 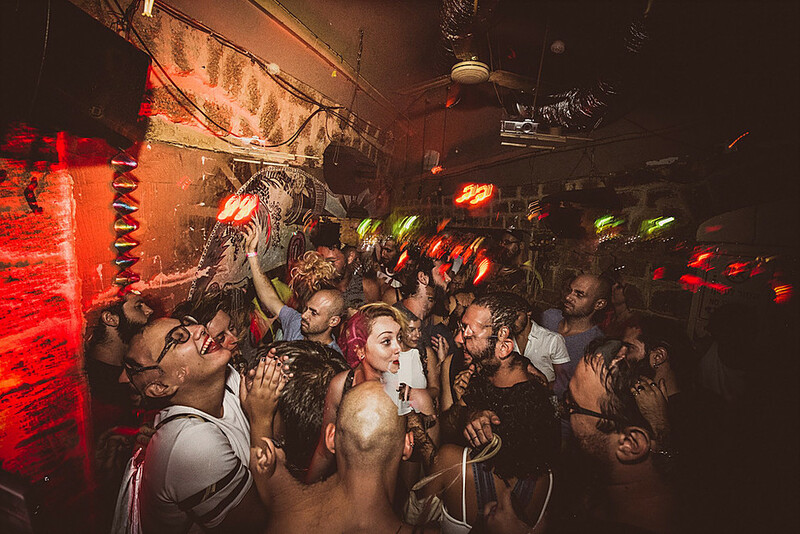 As much as Tel Aviv is the region’s nightlife capital, nowhere can compete with Haifa’s Arabic and mixed parties. It is the one city where you will regularly see Arab and Jew on the same dance floor thinking nothing of it. Of a long list of great options, Kabareet stands out as our top pick. This is the national focal point of Palestinian electronic music and the fabulously run-down building covered in old movie posters is a hipster’s delight. With public transportation running seven days a week and less political attention on it than bigger cities like Jerusalem or Tel Aviv, the relaxed atmosphere at Kabareet and across the city’s venues make this a special place. Coffeeshop Rai, café Masada and Elika art bar are all worth a mention too. This place is a real hidden gem. Jish is a mixed Muslim and Maronite Christian village in the Galilee, sitting in the foothills of Mount Meron. It is a beautiful place to visit in any season, but the atmosphere, food and drink on offer at Baladna would be reason enough to come no matter how it looked! This beautiful Ottoman-era building is bristling with character, serves modern versions of classic, local dishes and often has live music. The bar staff are generous with the drinks and you are very likely to find both local Arabs and Jews enjoying this place together any evening you visit. Okay, this one is a bit of a stretch, considering that Snow Bar is in the middle of Ramallah, itself in the middle of Area A (an area Israelis are prohibited from entering under loose IDF regulations). But there a tonnes of internationals here, and more and more young, left-wing Jews from Israel are letting their curiosity get the better of them and choosing to visit the West Bank too. Places like Snow Bar are a good reason to come. This place has a pool, big outdoor seating area, serves good food and great drinks at half the price they would be served across the Green Line. Ramallah is often compared to Tel Aviv because - relative to what is around them - they are young, fun, liberal bubbles. 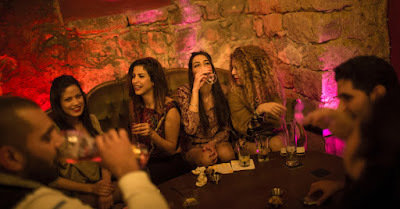 Ramallah gets international nightlife attention (Nicholas Jaar played a gig at the Grand Park Hotel last year) that nowhere else in the West Bank can compete with and Snow Bar is a good place to start exploring this side of Palestinian culture. 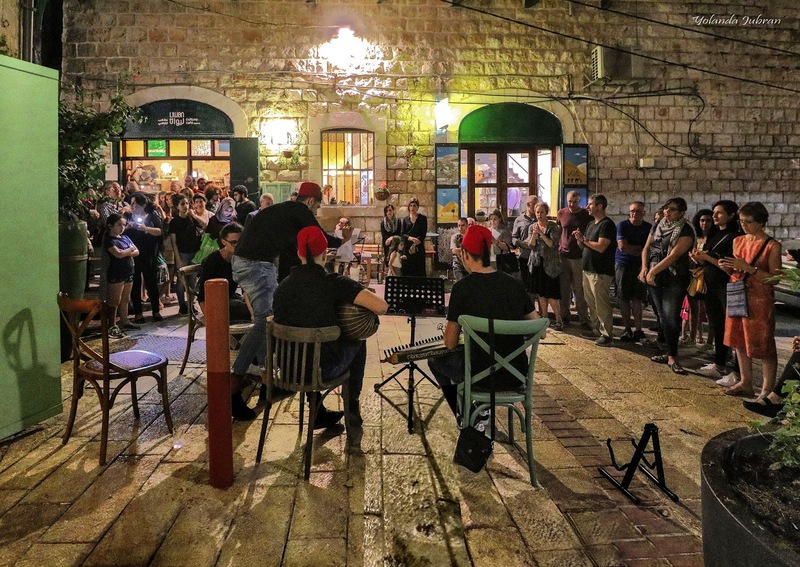 Nazareth is a tiny but mighty hub for Arab music and nightlife. There is a burgeoning rock music scene and some great little places in the old city that unfortunately many tourists overlook. The typical visiter to the city comes on a rapid pilgrimage to a few churches yet there is much more than meets the eye here. 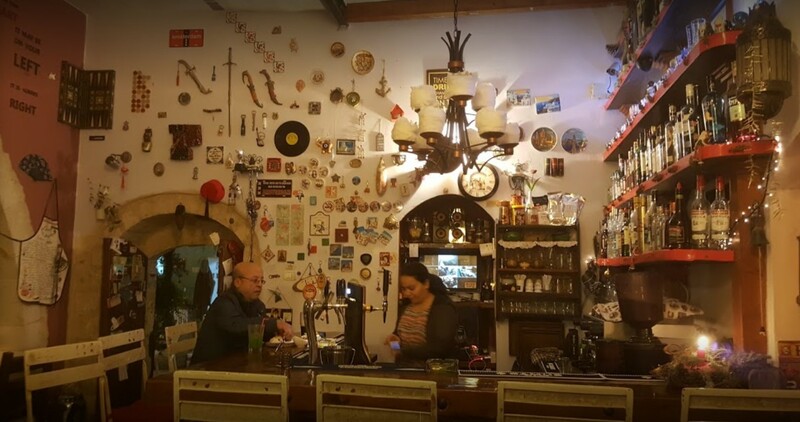 Liwan was founded by two locals and a German in 2016 as a cultural space and cafe. By number five on the list you must be exhausted after so many great late nights so this may not be the best place to party! 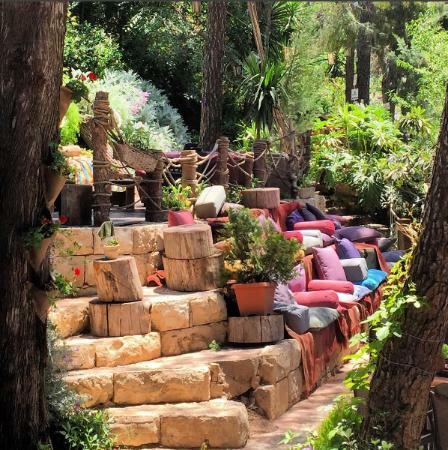 But over a Palestinian beer or two, at Liwan you will have challenging political discussions, hear fantastic local music, and rub shoulders with open minded Muslims, Christians, Jews and more. They can also point you in the direction of Alreda, another nice mixed spot to eat, drink and chill nearby which gets an honourable mention.